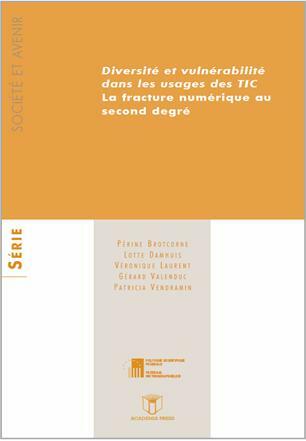 The final report of the project "The second order dgital divide" is now published in French. A 12-pages summary is downloadable in English. Brotcorne P., Damhuis L., Laurent V., Valenduc G., Vendramin P., The second order digital divide, Summary of the report for the Federal Science Policy Office, programme "Sociey and the Future", Brussels, 2010. 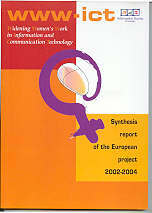 The final report of the European project "Strenghtening e-inclusion and e-accessibility across Europe" was published in June 2007. It concerns three main topics: e-accessibility; access to employment; acess to online public services (e-government, e-health and e-learning). eInclusion@EU is a 2004-2006 project for the programme Information Society Technologies, under the 6th framework programme for RTD of the European Union. FTU was partner of the project and is co-author of the final report. Mertens L., Brotcorne P., Valenduc G., Offline Youth and the Digital Divide: Revisiting the Concept of "Digital Natives", in Engelen J., Dekelver J., Van den Bosch W., Social Media for Social Inclusion of Youth at Risk, Proceedings of the INCLUSO 2010 Conference, KULeuven, Sept. 2010, pp. 73-80. Valenduc G., Vendramin P., Electronic resource planning: its roaring success and the risks, in Communications & Strategies, IDATE (Montpellier), nr 37, pp. 169-175.